The Cooks are for critters like you and me. Sunning, Cindy. I love your photography. Gorgeous pictures, as always. 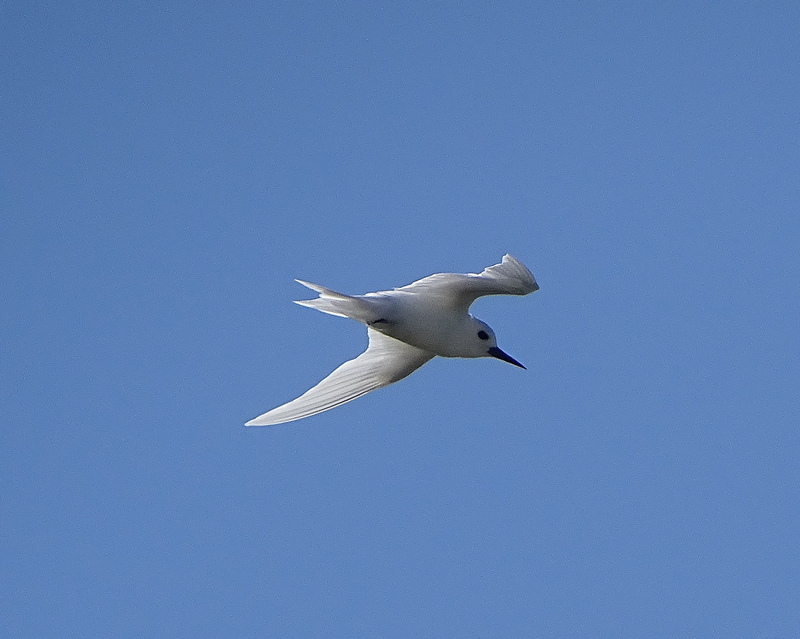 But those terns! Amazingly beautiful. Aren’t they gorgeous birds. They are a vulnerable species and are so delicate and sweet. I wish they were more protected. It must have been gorgeous! I wish I wwew, but thank you so much for the kind encouragement! Ja das ist jetzt Sommer! Love all your beautiful pictures here!!! Thanks so much & have a wonderful week! Cooks & Critters, a positive association in this case! 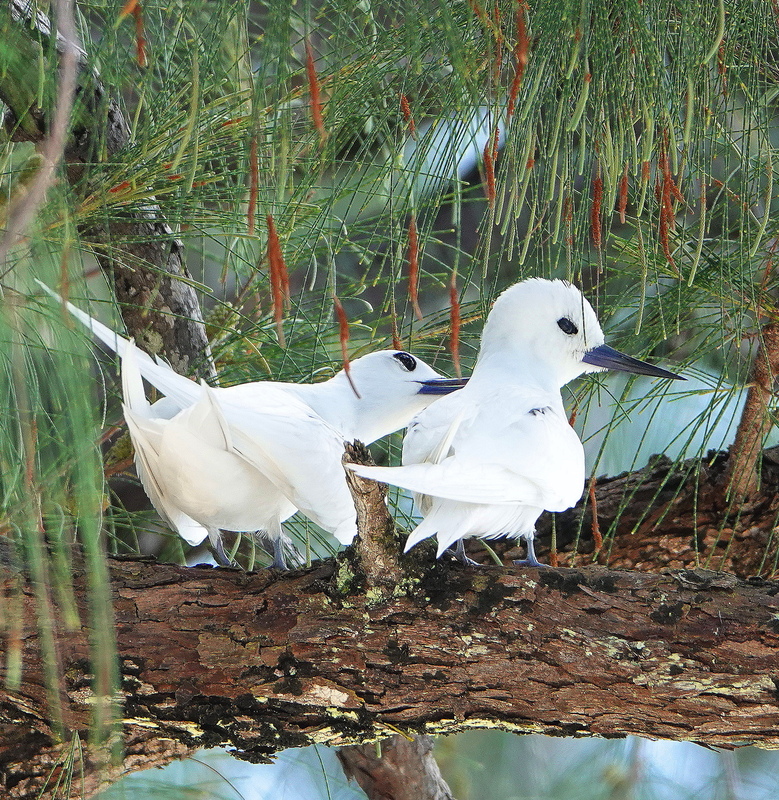 Those “Terns in the trees,” are adorable! 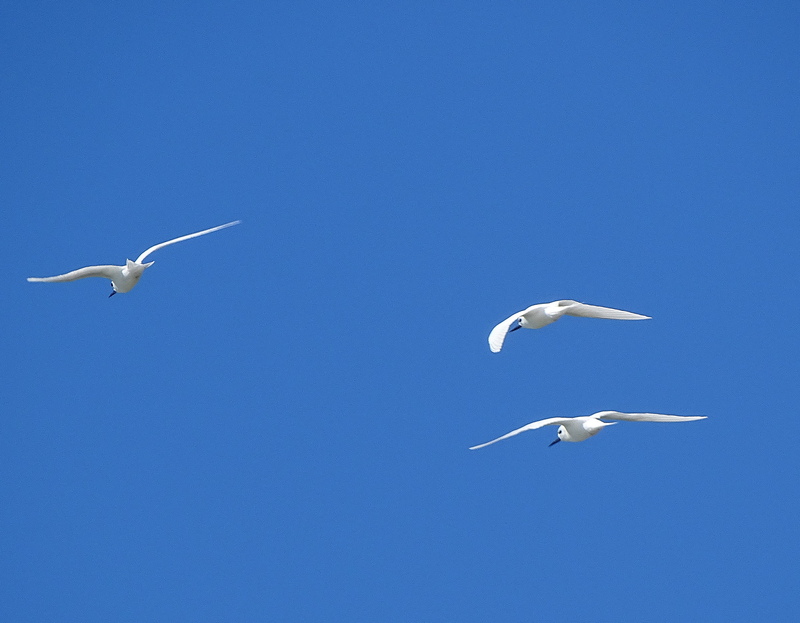 They are Fairy Terns and so aptly named! I am thrilled whenever I see one. Thank you for sharing! They are so darn cute! Amazing how good the image quality is for such a little sensor. Must be a good lens on that camera. 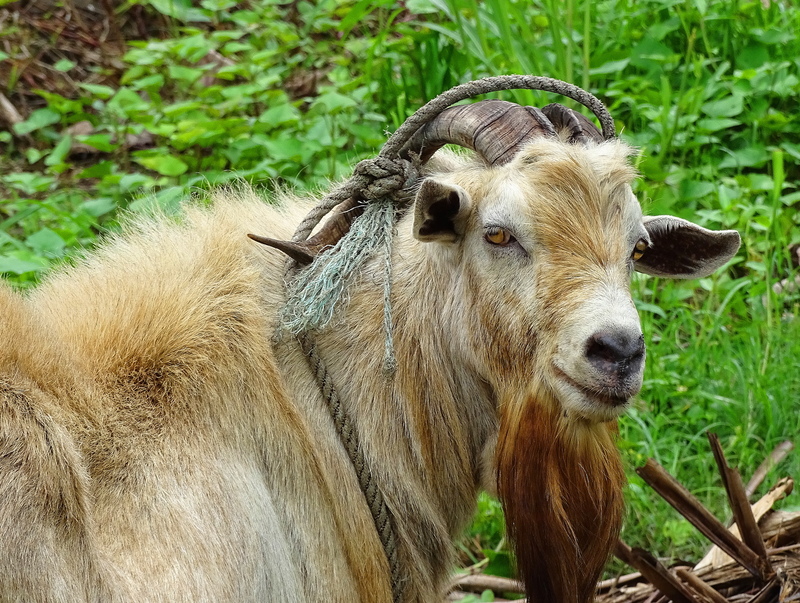 Quite the beard on that goat. Yep, the lens is the deal breaker, up to 1200 mm equivalent zooom. It packs long distance punch. its shows how amazing you are and your thought. Thanks for sharing good images too. Ahhhh, your kind comment shows how thoughtful and kind you are. Thank you & be well my friend. 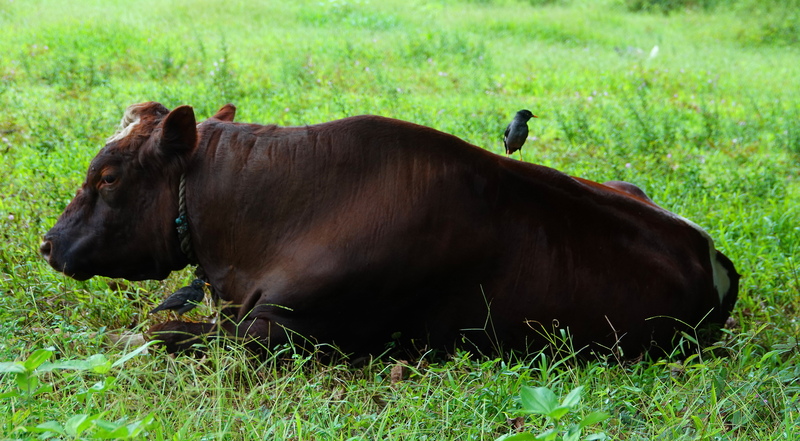 Yes, this is exactly what it is like in the holler, minus the chickens, turkeys, cows, horses, and boxers…..
Like mocking birds times ten… 🙂 Thanks, Cindy. I hit the trail in 16 days! to The Salton Sea and I thought of you. I bet. God’s speed & enjoy. I know you will. I love the first two images best! Thank you! They make me smile too. I love finding critters where i don’t expect them! Thanks for the photos of a place that I’d love to visit! You are most welcome and I hope you do visit and post about your impressions. Wonderful photos! I especially liked the one of your son! Awww, so sweet. I am partial to the guy myself. He is a very kind soul. Not my chickens. 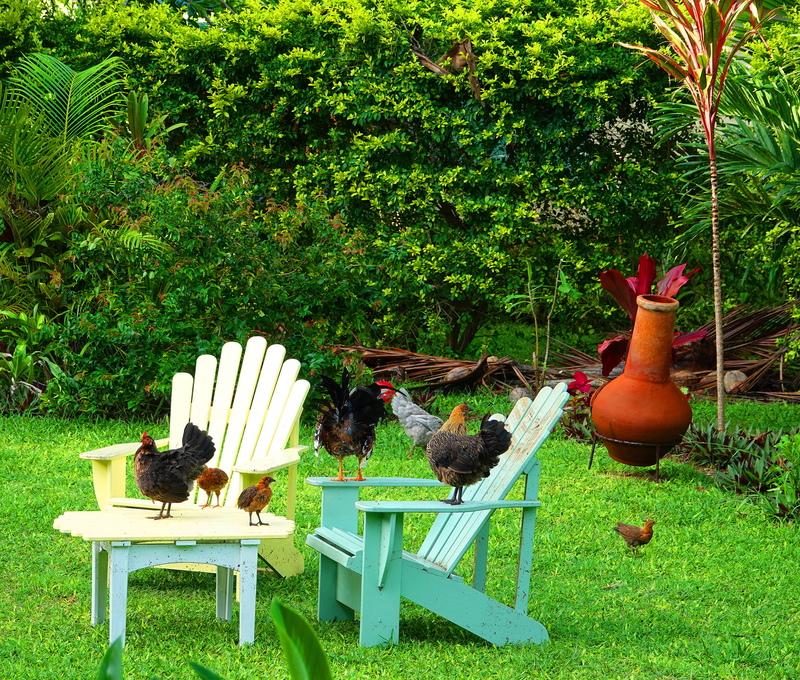 These are Cook Island Chicks! 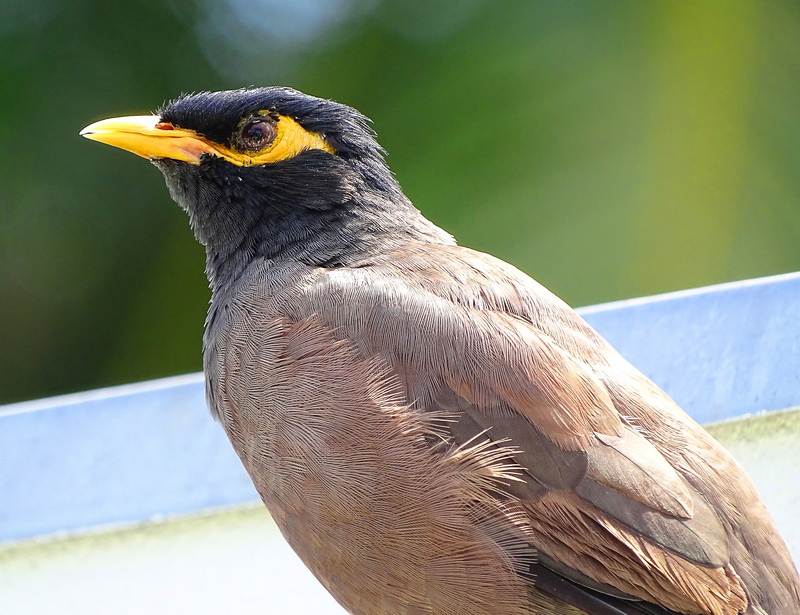 The myna here reminded me of two myna birds I met a long time ago. I have never metbeen such talkative birds. They repeated words and sounds they heard, they’d alert the homeowner of people coming to the house, they call familiar names. What fun birds to be with. Yes. 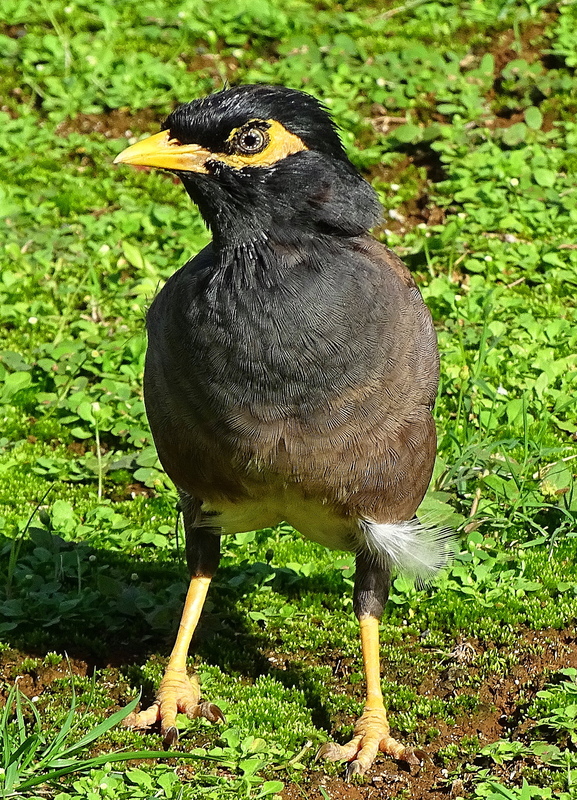 I knew a Myna bird like this as a child. I was fascinated by him and visited him often, always greeted by his loud Hellllllooooooo!!! 🙂 I was thinking – one can not speak of secrets in front of a myna. Wow. So you went underwater to snap the shot of him? 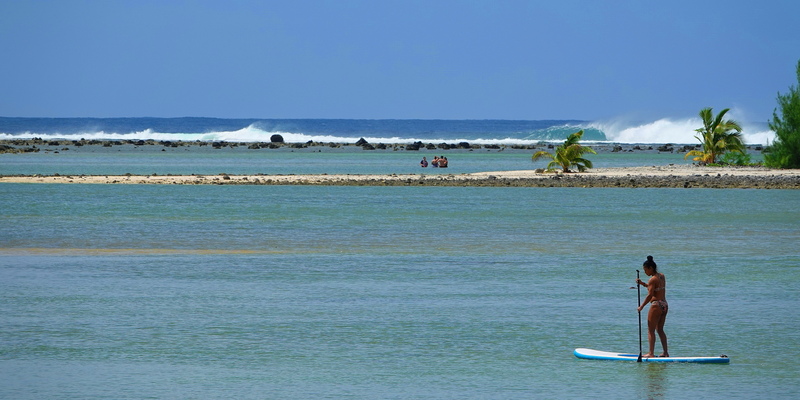 We are all water rats…..
Cindy, these are great!!! I want to cuddle them all (not the humans)!!! I keep seeing your little gravatar on blogs I stumble upon, you get around supporting others : ) For some reason, your recent posts aren’t showing up on my feed. When I saw your head in a “like” today it reminded me how beautiful your photos are. I had to click on your name in my “follows” to see your site. It was well worth it! Ahhh, what a lovely comment. Thank you Dawn. I have the same problem. Some blogs I follow do not show up in my reader, so I miss people’s posts which is frustrating. Thank you for making the effort & cheers to you! Thought it was just me. Technology and I are not the best of buds 🙂 You are so welcome, it was worth it! This was a fun collection of critters, Cindy!